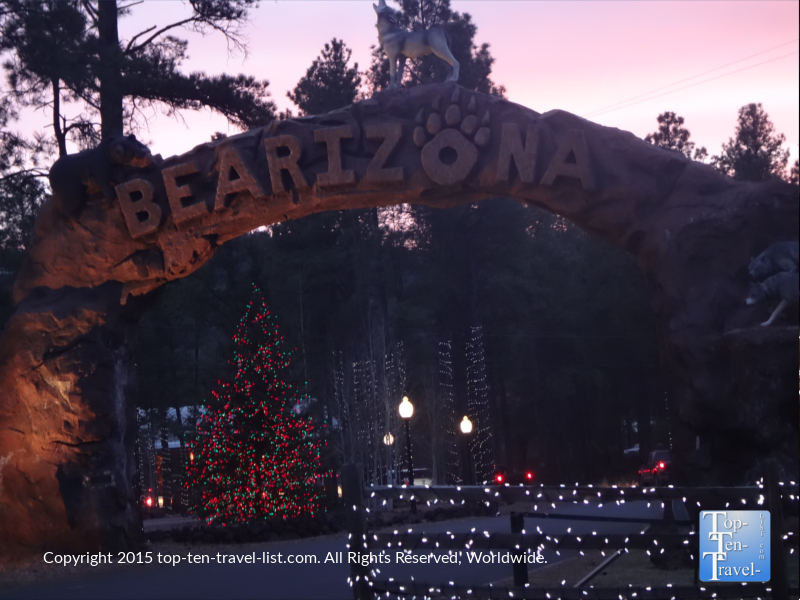 Wild Wonderland at Bearizona: A Fun Holiday Event in Northern Arizona - Top Ten Travel Blog | Our experiences traveling throughout the US. 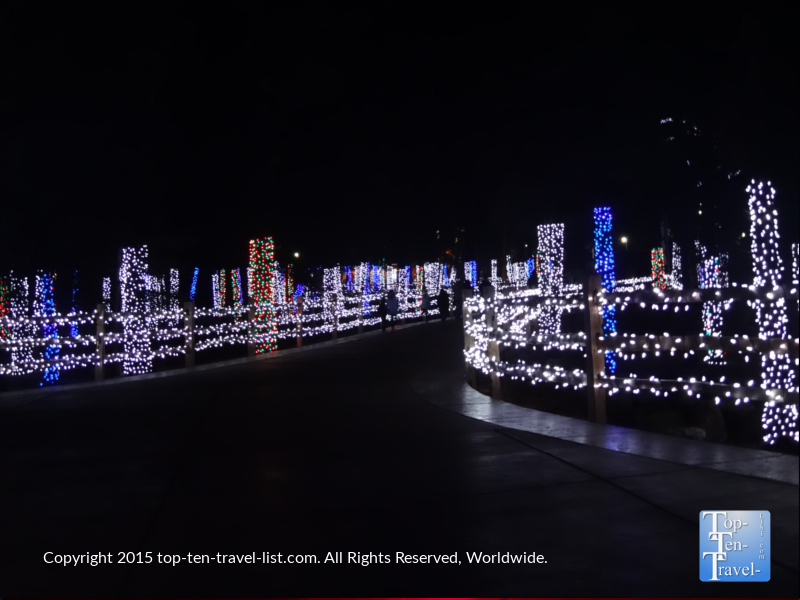 This year marks the 1st annual holiday light spectacular, known as Wild Wonderland, at Bearizona, a popular drive thru wildlife park in Northern Arizona. The park is open year round for regular activities, which include both a drive through and walk through area featuring all different types of animals including black bears, bison, Alaskan tundra wolves, mountain goats, and bobcats. A beautiful bobcat seen on a summer visit to the park. 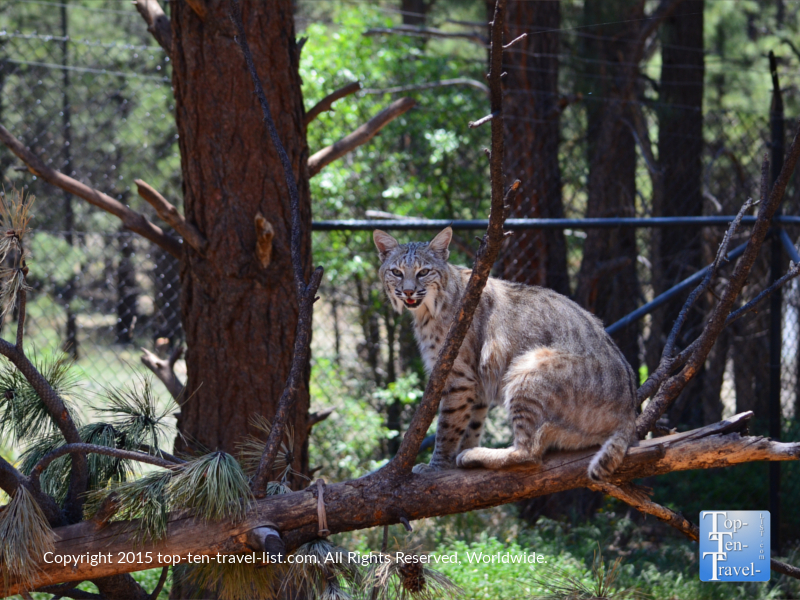 The great aspect of visiting Bearizona is that you can see all the animals up pretty close and the setting of the drive thru park reflects the animal’s natural environment in the wild. 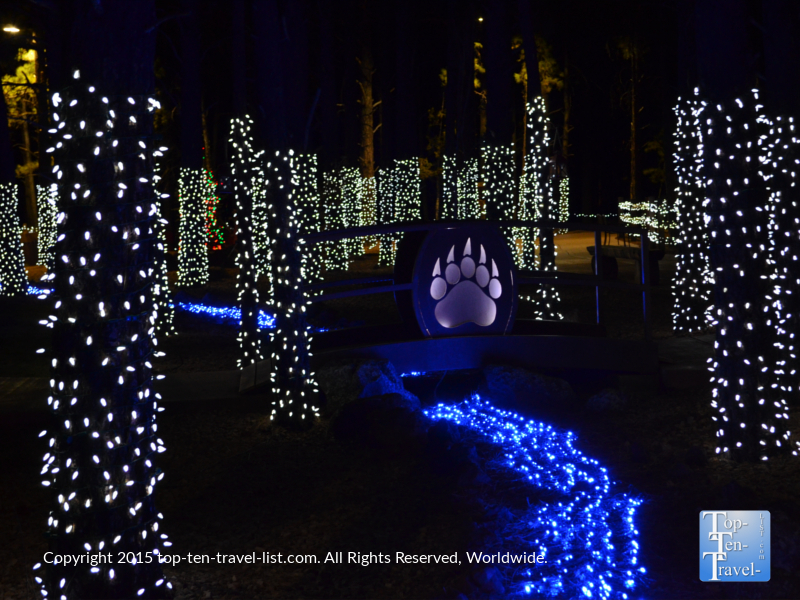 Wild Wonderland offers you the opportunity to stroll around the walk through portion of the park after dark and enjoy a different, yet festive holiday setting (perhaps next year they can decorate the drive-thru portion as well?!). 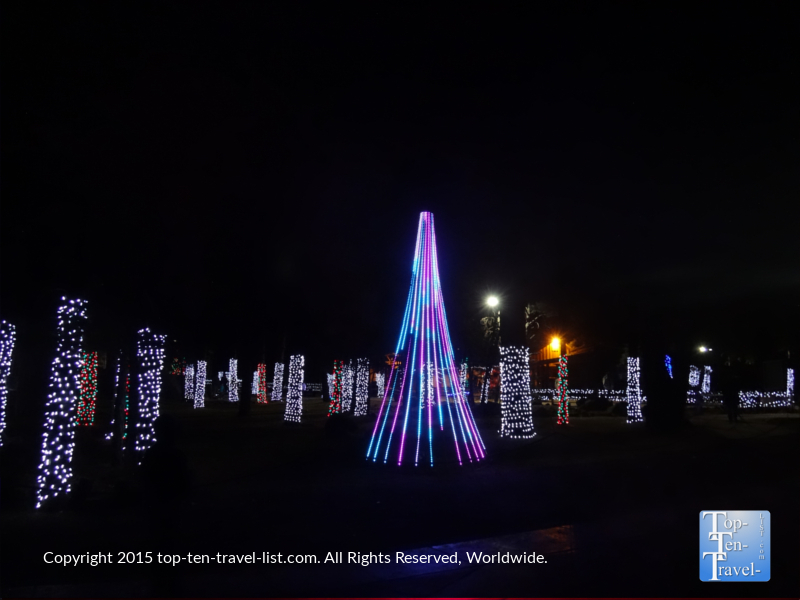 Wild Wonderland is similar to a Zoo Lights event, although you will not see as many animals. However, you will be treated to a wonderful light display in a wintry setting. 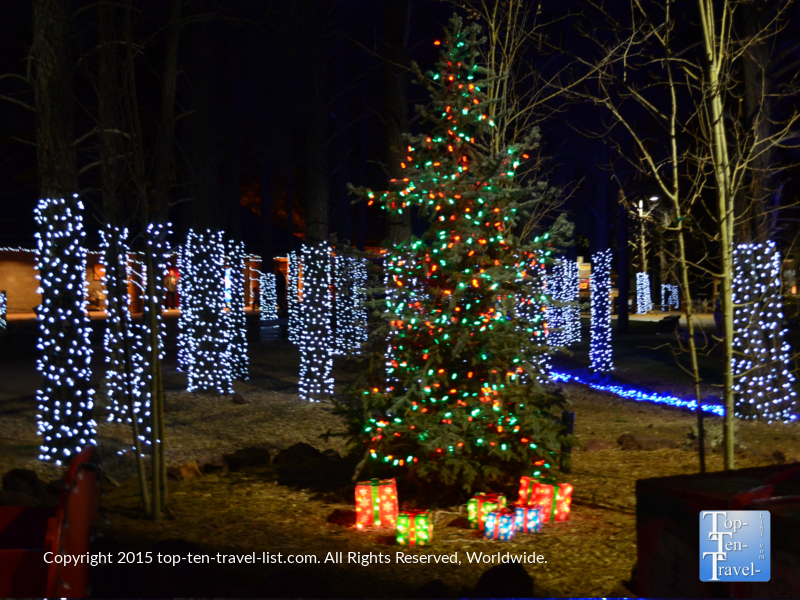 As you stroll the grounds, you will see hundreds of pine trees lit up beautifully for the season. According to Bearizona, this year’s event is only 20% of what is expected for future seasons of Wild Wonderland. If this is the case, we are in for a real treat in coming years! The grounds are quiet and tastefully decorated. You can easily see that they put a lot of time into organizing the lights and stringing them as opposed to just plopping the lights down with no direction. In my opinion, this is what sets a good light show apart from a bad one! Fortunately, Bearizona is not overcrowded, as is the case of many area holiday events. 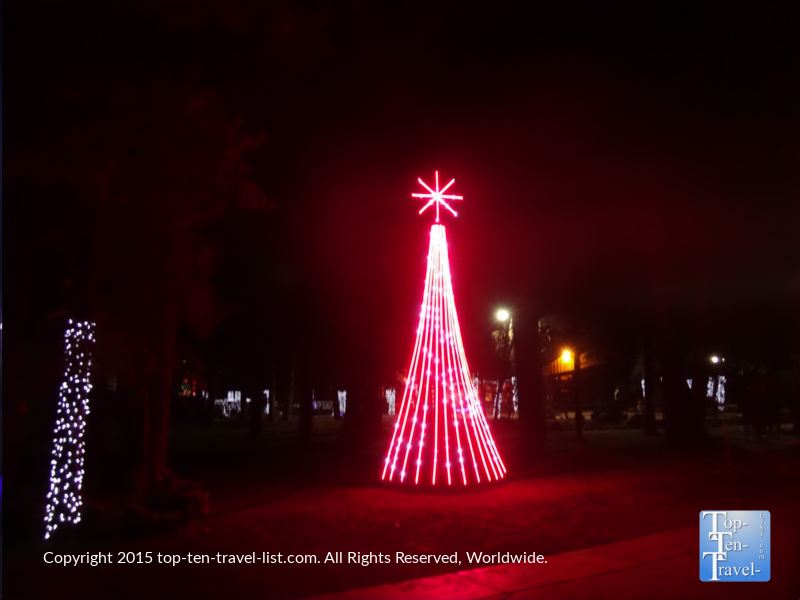 You can actually relax and stroll around with a hot cup of coffee or hot cocoa (you will need a warm drink as the temps are very cold at night this time of year, no matter the daytime highs) as you walk the grounds at your own leisure. The highlight of the event is a synchronized light and music show, accompanied by various classic and modern holiday songs such as Hot Chocolate from The Polar Express, Let it Go from Frozen, Rockin’ Around the Christmas Tree, and classic music from Trans Siberia Orchestra.